Haddon’s 2003 mystery novel won the Whitbread Book Awards for Best Novel and Book of the Year, the Commonwealth Writers' Prize for Best First Book and the coveted Guardian Children's Fiction Prize. But it’s a tale that appeals equally to adults, especially those with children. The Daily Mail, Daily Telegraph, Evening Standard, Guardian, Independent, The Times, Time Out, Londonist, Sunday Times and more have all given this superb production a big thumbs up, amongst other things calling it a marvel, a success from any angle and a triumph, capturing the depth and touching nature of the original text and adding theatrical sensibilities to great effect. The director Marianne Elliott has also come in for plenty of well-deserved praise for directing with the same considerable creative flair and style as she brought to her co-director’s role in the smash hit triumph of top puppeteer skills, War Horse. You can expect the same level of quality from The Curious Incident. In the words of The Times, if ever there was a perfect theatrical marriage of performance and effect, this is it. It is exactly seven minutes after midnight. Christopher is fifteen years old. He is standing next to Wellington, a dead dog belonging to Mrs Shears, which has been speared to death with a sharp garden fork. Unsurprisingly, Christopher comes under suspicion for the dastardly deal. And he’s determined to solve the mystery. So he meticulously records every fact he uncovers in his first attempt at writing a real, grown up book. Like many other kids, Christopher has an extraordinary brain. He’s a maths genius but he finds ordinary human interactions and everyday life baffling. He can’t bear to be touched and he avoids strangers at all costs. In fact he has never ventured further than the end of his road and his protective father forbids his amateur detective work. But Christopher carries on regardless with his quest to find out who killed Wellington, undertaking a challenging adventure that will change his world forever. Walk this way for the best seat and ticket availability in town! 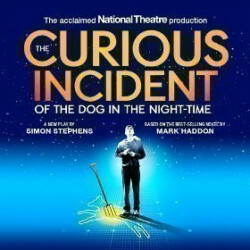 Satisfy your curiosity with a wide range of seat options, premium and full price tickets as well as discount The Curious Incident of the Dog in the Night Time tickets. 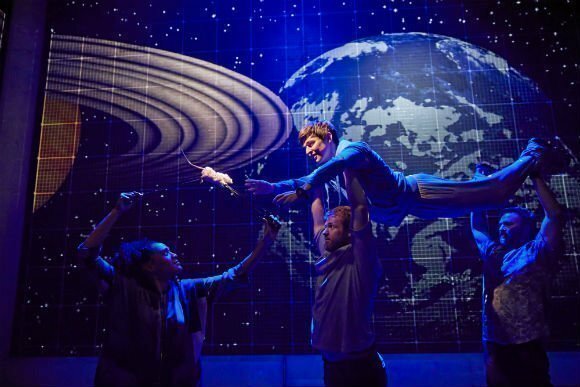 We have a great selection of cheap The Curious Incident of the Dog in the Night-Time tickets. 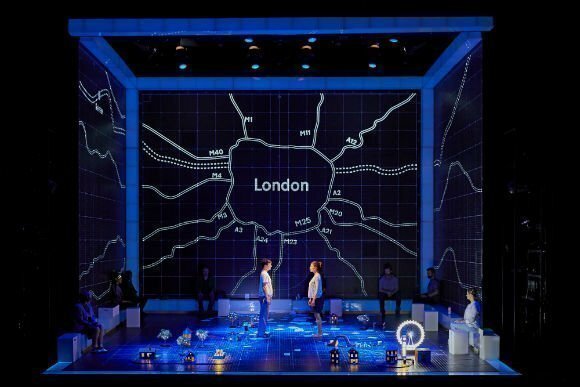 We can help you save up to 70% on The Curious Incident of the Dog in the Night-Time tickets! 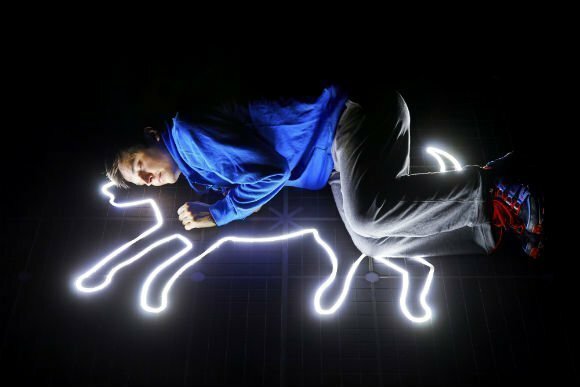 If you're looking for discount theatre tickets have a look below for our latest offers for The Curious Incident of the Dog in the Night-Time at the Piccadilly Theatre. Valid Mon- Wed Evenings until 27 Apr 2019.. . The play was brilliant! I am really glad I saw it before it ends. I thought the creativity was remarkable, and that all the emotions were properly conveyed to the audience. One could really feel was Christopher was going through in his own world. Overall, it was a moving, and beautiful story well played by the main actor. A very thought provoking play tackling the subject of child autism. It was handled with humour as well as drama. Excellent. A compelling story of a boy with Asperger’s and the journey he goes on after discovering a murdered dog on the lawn of one of his neighbours. The staging is quite superb and brings the novel on which it is based to life in a brilliant fashion, The lead actor playing Christopher was extraordinary. Highly recommended for an entertaining night out that delivers an emotional punch. I took my teenage daughter to see this show and we both loved it. Casting was great, acting was superb and lighting was amazing. Great use of cast members as props. Would highly recommend!!! Creative, contemporary; worth 5 stars reviews. I loved the book when J read it, a few years ago, so when J had the chance to buy the theatre tickets for my daughter and myself I just got them, everyone had told us what a great play this was. And the play was great and much more! Witty, funny, dmptuonal, relatable (my son is autistic and very similar to Christopher:) ), I would see it again and again, truly wonderful cast and effects, a gem! Exciting, emotional and eye opening! A fantastic show in which you learn so much about what it is like to be autistic. It is an eye opening, entertaining and a must see- particularly for those who work with children! Powerful acting from main character. Wonderful play. Well acted with a story to tell. Appeared low budget, but great story which my whole family enjoyed. Well delivered. Just brilliant, so energetic and enthusiastic. Beautiful start people who play this show. Eye opening and brilliantly done! Overall an excellent night and great performance from all involved with the show. Really great production, reasonable ticket prices and availability when I booked them. This was a powerful show. Well acted and it delivered a clear message and explanation about how it is overwhelming it is to be on the autistic spectrum. Incredibly clever production and so slick from start to finish. Can't wait to see it again. Amazing set and concepts!! Well adapted from the book to the stage. Great acting, great story. Absolutely astonishing show. Nothing else light it. Recommend to anyone. Best show I have ever seen and I have seen many, many shows. Very interesting & well acted show! Not a glamour or glitzy show by any stretch of the imagination but a well acted & thought provoking play which keeps you involved with the character's all the way to the end. A really excellent performance , so creatively done. There was nothing wrong with the performance or the seat. However the theatre allowed large school groups to whom they sold noisily packaged confectionery. The general level of disturbance was so distracting that I left at the interval. Very disappointing. Very moving while being both funny, serious at times and showing the complexity of the human condition. Engaging right from the first line! We had read the book and my 12 year old son is studying the play in his English curriculum. We really enjoyed it. The lead actor who played Christopher brought this story to life and made a sometimes overtense scene still engaging. Well done show- struck nerves, laughter and tears. A brilliant & thought prevokingly brave production - a triumph of modern literature on stage! I hadn’t any idea over what to expect from this production, after all I am a general theatre goer with a simple attitude to taking my seat, if I can take a comfortable seat, follow a story, laugh a bit and cry a bit then that is my expectations of a performance fulfilled. This production did exactly that and more! Thought provoking at every level, the decision to perform the story successfully for so long on a Westend Stage is a triumph for humanity. There is no glitzy, razzamatazz, no music, no dancing just an honest and brave story of a modern family coping in society. Brilliant performances from the cast mean your attention is fully engaged. I always say you know when you see a quality script come to life when technical angles are driven invisibly. The whole stage unfolds using a technical mastery which I can totally applaud, with lighting and sound in my view creating the depth to the writing in such a way you only become more immersed in the story. A directive masterpiece! My only reservation to audiences would be that the language scripted is in an adult form and may make audience goers with younger children feel uneasy, but that aside a modern story should have an honest presentation and it definitely delivers that! A solid, if quirky, drama. Highly experiential, felt the pain and fears of not only the child but also the parents and their earnest struggle to bridge the gap in understanding. Ingenious portrayal of asperges as well as sensational technical performance! Genius lighting design! Brilliant acting! Sensational narrative! A must see for all, moderately family friendly (baring some explitives and some emotional scenes). Just a genuinly brilliant show! Good show , creative and interesting story. acting and lighting were awesome! Great story and flawless performance. While smiling at the idiosyncracies of cognitive challenges, we get a really honest and accurate portrait of what it takes to make a family work under any circumstance. Highly recommended. A brilliant frank use of life at the extreme and how colourful language adds value to the play. Does is f***.. Yes it bl**dybdoes! A great show for all ages, and an absolute must for teachers to understand autism. Great production - acting and technology were particularly impressive. Clever and sobering, highly recommend it! Everyone seemed very impressed but I had some reservations myself - I felt rather manipulated (cute puppy - perlease!) and sometimes uncomfortable with the humour which largely depended on the main role's autism,. It was a little 'stagey' and the story was unconvincing. Great acting by the star of the show, but not entirely sold on the show overall. I enjoyed the show enormously. It was actually hot in the theater so I must confess I fell asleep in the first half. However I was with the actors every second of the second act. Having just negotiated the tube by myself for the first time, I can certainly identify with the main character. Whilst it was a production through teamwork, the talented Christopher made the show entertaining. Creative perspective - hits all emotions! Imaginative and innovative production of a great book! Thoroughly enjoyed and would enthusiastically see again. The actors were superb and the production was unlike any other. A true all round accomplishment for the stage. Really astounding show overall. Really enjoyed it. The show was very interesting, but the first half was a bit slow. The actors should have mics as it is hard to hear up in the upper circle, especially when the person sitting next to you coughs the whole way through it. The boy who plays the main role was excellent. It was a really good show, and really well done with few props. I was impressed by how they managed to communicate it through the mind of an autistic person, in a way that was really easy to understand. Amazing acting and story telling with superb visual effects! Well acted and superbly portrayed view of a world we often tend to overlook. Incredible and original staging and a brilliantly well conveyed message. Highly recommended. I felt the very intense and very relevant story line was over-played by extravagant staging in trying to make it a west end hit. Unfortunately also, one of the leads, the teacher, had a night off with very poor diction. An excellent production featuring a simple but complex set. The actors really got the message across of how people with autistic tendancies feel in various situations. A very good show, comical in parts but also with a degree of pathos throughout. Engaging and a creative set. Great theatre with super performances form all- especially lead role. Compulsory for everyone to understand the challenges faced by people living with Autism / Aspergers and their families. I really couldn't imagine how the play would measure up to the book which was excellent. I was not disappointed. It captured the mood and message of the book to perfection. Not to be missed! I would recommend this play to everyone. Brilliant acting, Story , coreography, stage design. Thought provoking, funny , sad and poignant. Great play with such original direction, props, decor really impressed and utterly entertained! 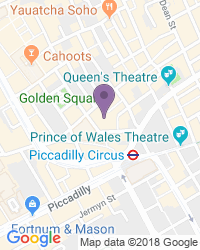 Use the search box at the top left of this page to search for The Curious Incident of the Dog in the Night-Time tickets availability.